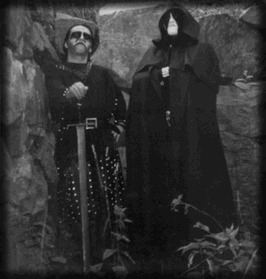 VONDUR is IT and ALL, a Swedish group that dates back to a little after the black metal's second wave began. It seems they had a bleak and irreverent approach to playing black metal music, at times coming off as fairly ridiculous--perhaps mockingly so. "Stridsyfirlysing" came out on Necropolis records (1995). 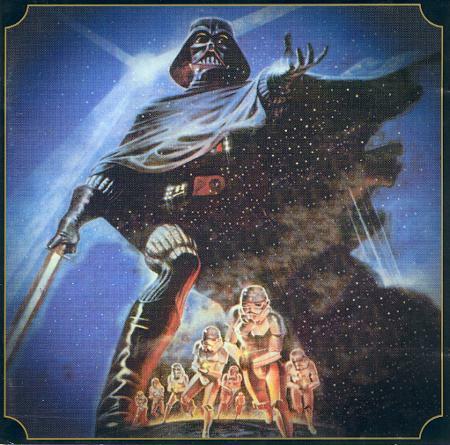 Little known fact: Stephen O'Malley of Southern Lord/Sunn designed the awesome Star Wars based art for the album. 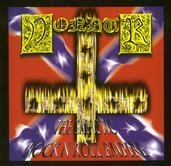 Vondur had a second offering, an Ep entitled "The Galactic Rock'n'Roll Empire" (Necropolis Recs 1996) features cover songs (of Elvis (sort of), Judas Priest, and Motley Crue--as well as a little original material. Opthalamia and Abruptum are related projects. IT and ALL are awesome.